[Vancouver, BC] The Canadian Association of Professional Sommeliers British Columbia Chapter (CAPS BC), announces the Best Sommelier of British Columbia 2018 is Sean Nelson, sommelier at Vij's restaurant. This is a hard-earned win for Nelson, who also was awarded "Best Taster" of the day. Sean Nelson of Vij's crowned Best Sommelier of BC 2018. Additionally, Nelson will be formally recognized at the VIWF Trade Luncheon in February. In a very tight finale, Nelson outscored second place winner Matthew Landry of the Stable House Bistro and 3rd place winner Todd Prucyk of Hawksworth Restaurant to claim the 2018 Title. All three of the finalists were gifted with a personalized Canucks jersey on behalf of Rogers Arena. CAPS BC president Lesley Brown says, "A huge congratulations Sean, and to both Matt and Todd; and, all of the 13 competitors today." The annual competition, emceed by Shane Taylor, winner of 2017 Best Sommelier BC Competition, attracted sommeliers from across the province to compete in the Captains Room at Rogers Arena for the title of Best Sommelier of British Columbia. The competition included an intense written exam in the morning, with the top three scoring sommeliers from the written exam advancing through to a series of practical tests, such as opening and pouring sparkling wine perfectly, spotting errors in a written wine menu, and blind tasting and identifying wines; all in front of 100 spectators. This year's competition judges were Barbara Philip, Michaela Morris, and Sebastien Le Goff. Jesse Walters, Burdock & Co.
New and as a first in Canada this year, CAPS BC hosted the 2018 BC Aspiring Sommelier Competition. This event was for any member of CAPS BC who earns at least 50% of their income from hospitality employment in any role, and who has an interest in participating in future Best Sommelier BC competitions. The event mimics the Best Sommelier BC format in order to give aspiring sommeliers the opportunity to understand what the competition is all about. Winner of the inaugural Aspiring Sommelier Competition is Ian Wharton of Blue Water Cafe. The runner up: Alex Anderson of Tap Restaurant. Jason Yamasaki (Wine Director of the Joey Restaurant Group and Best Sommelier in BC 2015) and Mark Shipway (Director of Professional Development, CAPS - BC) oversaw the new competition. Jason mentioned as part of the awards announcement that "BC is leading the way with this competition. The sommelier community continues to build in BC and it is truly something special." Established in 1989, the Canadian Association of Professional Sommeliers (CAPS) is a pan-Canadian association, which brings together individuals within the sommelier profession, restaurant services, and other sectors of the wine industry. Hosted by The Canadian Association of Professional Sommeliers British Columbia Chapter (CAPS BC), the fourth annual Best Sommelier of BC Competition returns to Rogers Arena on January 29th, 2018. [Vancouver, BC] This annual competition attracts some of the best and brightest sommeliers from across the province to compete for the title of BC's Best Sommelier 2018 . This incredibly challenging competition includes both a written and practical examination. The practical exam will be held live as the top three sommeliers from the written portion compete for the 2018 title. Ticket packages available for CAPS Members and the public to view the competition and join the post-competition celebration dinner and announcements. The winner will be announced at the post-competition Dinner, hosted by CAPS BC, at the Encore Suite at Rogers Arena (doors open at 4:30pm). To be eligible to compete, individuals must be accredited members of CAPS BC and must earn at least 50% of their income from hospitality employment as a sommelier. Competitors must also be a Canadian Citizen or Permanent Resident. Esteemed judges for this year: Barbara Philip, Michaela Morris and Sebastien Le Goff. Emcee is DJ Kearney and Shane Taylor, winner of 2017 Best Sommelier BC Competition. 9:00am-11:00am- Preliminary competition, including written exam and blind tasting, with all candidates. This portion happens behind closed doors. 12:00pm-4:30pm- The Top 3 Competitors will be announced, and then immediately compete live for Best Somm BC 2018. This portion is open to the public for viewing. 4:30pm-8:00pm- Cocktail hour, dinner served, and winners announced. For the LIVE Competition Viewing ONLY - $10 at the door (first come-first serve seating). Doors open at 12:00pm and the competition begins at 12:30pm. In addition - for the first time, CAPS BC is happy to announce the 2018 BC Aspiring Somm Competition. This event is open to any member of CAPS BC who earns at least 50% of their income from hospitality employment in any role as well as has an interest in participating in future Best Sommelier of BC competitions. The event mimics theBest Sommelier of BC format to give aspiring sommeliers the opportunity to understand what the competition is really all about. Competitors must also be a Canadian citizen or Permanent Resident. 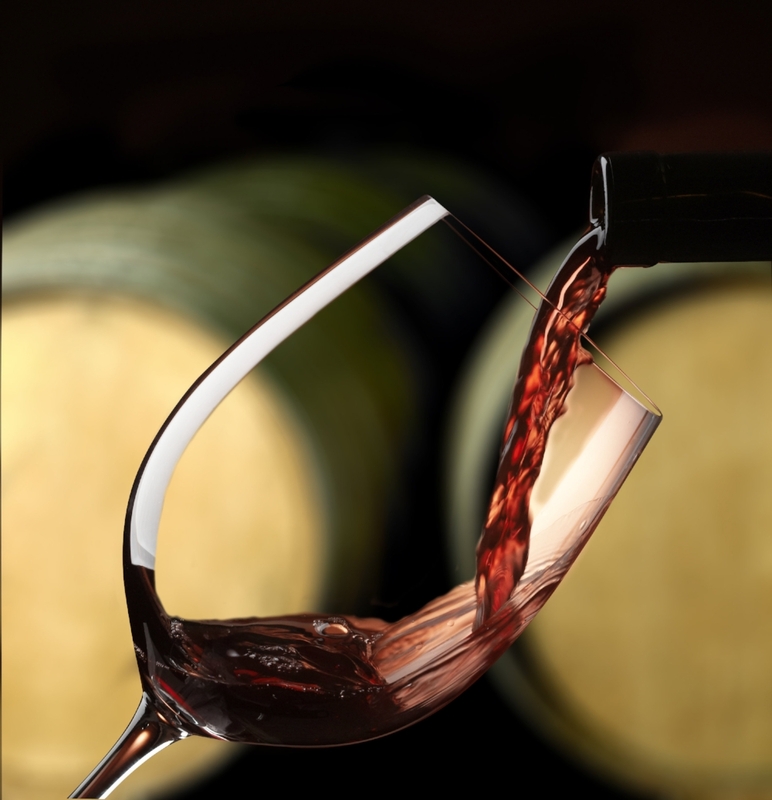 This event runs concurrent to the Best Sommelier of BC, from 9:00am-12:00pm on Monday, January 29th at Rogers Arena. The 2018 BC Aspiring Sommelier Winner will be announced prior to theBest Sommelier of BC announcement on Monday evening.